For vehicles with a trailer car and also for the towing trucks, the electronic brake controller is a crucial car safety component. It means that it’s important for you to buy a high-quality product because safety can never be compromised. Electronic brakes are the next-gen type of car brake devices, meant to maximize your vehicle’s safety. This device is made to reduce the brake distance which can be a decisive thing in a possible emergency situation. There are different electronic brake controls available online, but it’s important that you search among the high-quality brake systems. The electronic brake controls are used for vehicles that have a trailer car attached and also for big or small towing trucks. The goal of the electronic brake control is to even the brake speed of the vehicle and the trailer car attached to it. The same goal is with the towing trucks as the electronic brake control should even the brake speed of truck and a towed vehicle. How does the electronic brake controls work? The electronic brake controller is a device that you place inside your vehicle and it serves to send the instant brake signal to the attached trailer car, or a vehicle you are towing. Electronic brake controllers are used on the vehicles with trailer cars and towing trucks because of the extra weight that these vehicles carry behind. That extra weight makes it harder to stop the vehicle and that is when the electronic brake controllers save the day. There are many types of electronic brake controllers, but they can be generally separated into two main categories. Namely, the first category of electronic brake controllers includes proportional brake controllers and the second category includes time-delayed brake controllers. 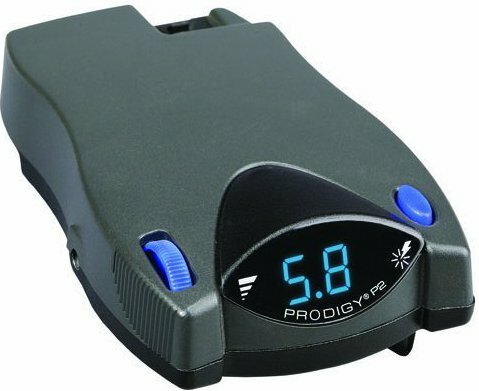 Proportional brake controllers feature a motion-sensing device which can easily measure truck’s breaking speed and then easily apply the same amount of breaking speed on the trailer. That means that your trailer will stop quickly if the truck is breaking quickly, and slower if the truck’s breaking speed is slower. Time-delayed brake controllers provide a breaking speed to the trail according to speed you already determined on the controller. This type of brake controllers needs you to preset the delay time between the breaking time of truck and trailer car, or a towed vehicle. The trailer will start slowing down according to time delay you already set between the moment you press the brakes and the moment the brake controllers sends the signal to the trailer. This is the most important feature you should consider while buying electronic brake controllers. According to a general division between electronic brake controller types, you should have in mind that the proportional brake controllers’ motion-sensing feature is a fully automated mechanism that easily adjusts to any situation and is reliable. On the other hand, time-delayed brake controllers are cheaper, but less reliable. This is because the time-delayed electronic brake controller functions solely according to general instructions you give to it. These instructions are not adjustable in the case of some unexpected occurrences on the road and that can prove as problematic. The intuitive user interface of these devices is another important feature as it makes it easier for you to adjust the device’s functions according to your needs. This is especially the case with time-delayed electronic brake controllers because they are completely dependent upon the instructions you give to them. This feature is tightly connected with the previous one because the design and construction of the device are the things that help you figure out how the device works. All electronic break controllers have some type of a monitor built in that shows the voltage delivery going from the breaker controller to the trailer car brakes. Electronic brake controller monitor should be placed in such a way to be visible to the driver at any moment. The monitor shows if you need to increase or decrease the voltage delivery to the trailer brakes. Electronic break controller will prove as your crucial safety partner while driving and it’s very important that you buy a high-quality device. This means that you should search for quality products even if you think they are pricy. This is another useful parameter which can help you decide the type of electronic brake controller to buy. Ratings can help you find reliable and quality devices at a good price. The 10 products reviewed here have been carefully chosen based on their ratings and reviews. Some of these will definitely meet your requirements as they have what a good electronic brake controller should ideally have. Why we like it: This Tekonsha electronic brake controller meets all the most important criteria previously mentioned. The device is very easy to use as it has a distinct and easy-to-read LCD display with a few screen color options that can make it even easier for you to read the information. 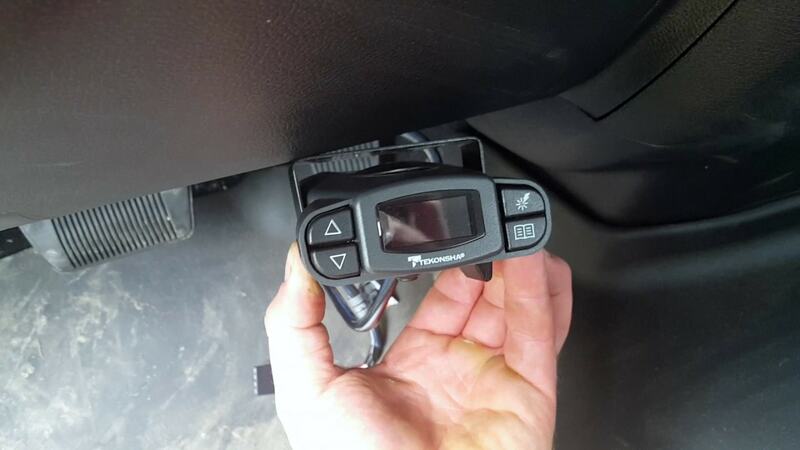 Also, Tekonsha electronic brake controller has great diagnostics that show output current, battery brake, and output voltage with warning screen alerts. Tekonsha 90195 P3 electronic brake controller has a user interface which is designed to provide you with all the most important information in a comprehensive manner. With this break controller you will enjoy a comfortable ride, with no worries about the possible bad scenarios. Also, the installation of this device is easy and with the instructions provided you will surely do the setup right. After you are done with the setup, you will learn the ropes of controlling the device in no time as everything gets clear after just a few uses. You can even change the colors on the display which gives you the possibility to adjust the display according to your color preferences. This feature makes it easier for you to read and react to the information on the screen. This electronic brake control device comes with a boost feature that allows you to customize the braking system on various different levels. It is optimized for many different situations and ensures the device’s functionality and security. Although these customization options may seem difficult to set, the intuitive interface makes everything easier for you. Tekonsha brake controller is made to last as it features a high production quality that prolongs its lifespan. Also, don’t worry if the device will stop working out of nowhere as the quality of the parts is on a high level and the overall quality of the device makes it durable and, above all, reliable on the road. The device is easy to set up and use afterward. Has a comprehensive user interface. Allows you to customize the brake system and programs. The device has a long lifespan. The price might look to be on the higher side, but on the other hand, it gives you impeccable performance. 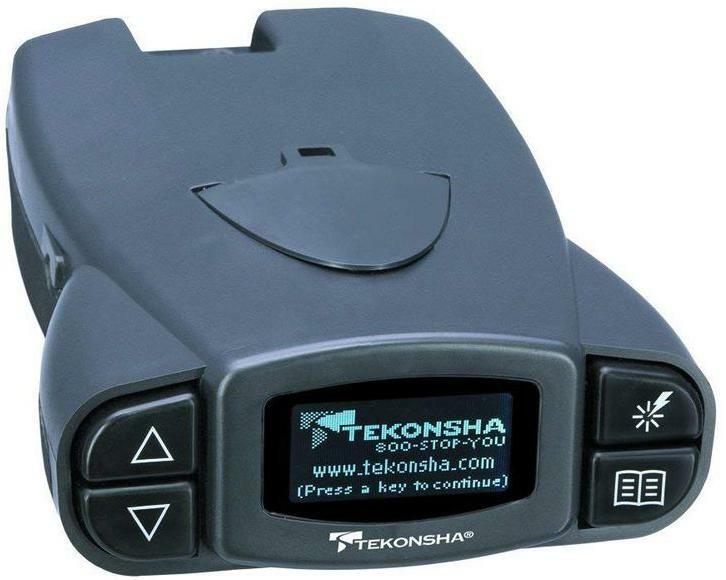 Why we like it: Tekonsha is the leading electronic brake controller manufacturer and it’s pretty clear why even the cheaper models like this one will provide you with an impressive performance on the road. This device proved to be reliable and worth investing because of its features that make it easier for you to control it and improve your vehicle’s brake system. For a reasonable price you will get yourself a device which has almost all of the high-end features that more expensive models have. The device meets the basic production quality criteria that ensures the reliable use of all the key features. The main difference between this cheaper model and the more expensive devices is a smaller display that doesn’t show as many information as the expensive mode. Nevertheless, you will be provided with all the most important information. Except for the smaller display, all the other functions concerning breaking programs and overall functionality are on the same level, so your safety is guaranteed. Another important thing to mention is that this device features a proportional functionality in reverse. That means your safety is guaranteed, no matter which direction you are moving. This feature increases the overall security level that this device provides you with. This model is also durable and features high-end production quality which ensures its performance on the road. You will be free from worrying if the device will suddenly fail you in a situation when you need it to be fully functional. With no worries about its functionality, this device will make sure that you can drive comfortably and freely rely on it. Combination of price and quality is the first thing that makes this device a must-have when it comes to safety on the road. This device gives you the same performance and reliability as the more expensive models do. The functionality on the road and the long lifespan are guaranteed. The device has a LED readout when issues occur. The display panel is smaller from the one on the more expensive models, which means that the amount of information displayed is smaller. Why we like it: The reason why we recommend this electronic brake control mode by Tekonsha is the fact that Tekonsha products guarantee excellent performance. The production standard of these devices is high, so it can prove as a worthy investment. This electronic brake controller is easy to install and use afterward, which means that this device meets all the main criteria for a quality electronic brake controller device. This Tekonsha electronic brake controller comes with a bigger display and with more control features. These features make it easier to learn how to use the device. Also, it’s worth mentioning that this electronic brake controller features 360-degree vertical rotation which allows the user to easily remove and store the controller when it’s not in use. Although it comes with a greater set of controls and a bigger display, this electronic brake control doesn’t give you the number of options that you expect for its price. Nevertheless, this electronic brake controler is a high-quality safety device and is surely worth investing in it. With a boost feature, this Tekonsha model, offers you a chance to apply more initial trailer braking power while towing trailers that weigh heavier. This feature makes it easier for you to adjust the device’s behavior and function according to what you need immediately. All this means that this electronic brake control is easy to customize and it proves as a valuable safety partner in everyday situations. 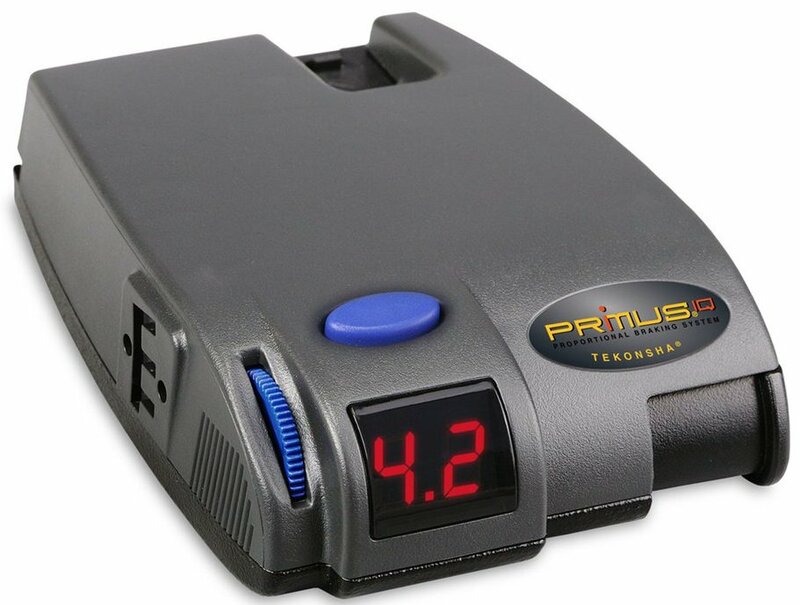 This electronic brake controller has a continual diagnostics check that gives you useful information about proper connection, shorted magnet conditions and reverse battery protection for both vehicle and breakaway. Smart assistance features and constant monitoring of the brake system give you essential safety support. The brake programs are customizable. This model has a very long lifespan and is reliable on the road. Some users may find it too pricy. Why we like it: Among all the other Tekonsha products that were reviewed, this is definitely the best. If you are willing to invest a bit more for your safety on the road, this electronic brake controller will prove that it was worth it. Some of the wireless features that this electronic brake controller offers show that it’s a high-end performance safety device. Also, it will be hard to find the electronic brake controller that performs better. 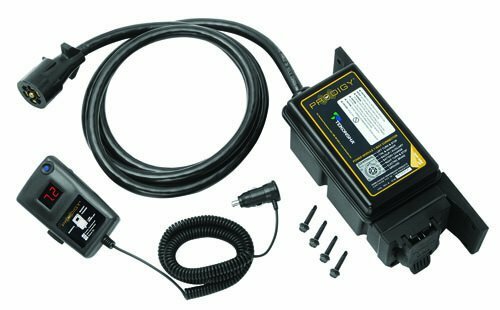 This electronic brake controller comes with wireless communication between the remote hand unit and trailer mounted power module, which means that it’s easy to install this brake controller and even easier to control it. Also, there is a hand-held control unit which serves as another controlling option which maximizes the overall control capabilities of this electronic brake controller. This control features will definitely improve your experience while on the road as there will always be a way to get in charge of your vehicle, especially in the situations where your safety is at risk. This electronic brake control unit has a comprehensive user interface which intuitively presents you all the important information. Also, it provides you with the control options that are easy to master in no time. It’s important that the electronic brake controllers are easy to use, as it ensures a quick reaction when it’s needed. All of the Tekonsha products feature a long lifespan ensured by high-end production standards and production processes which increase the overall quality of each product. 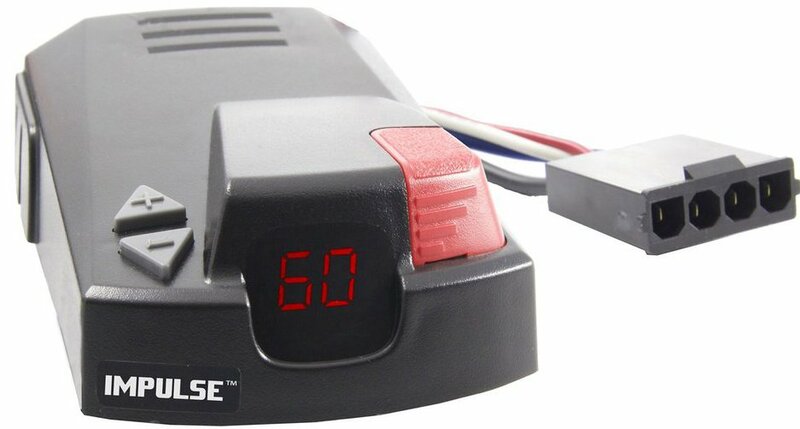 This electronic brake controller is no exception and you will be satisfied with its performance and a long lifespan. It’s very easy to use this electronic brake controller. It will serve you for a long time. No matter how great this electronic brake controller is, some people can find it too expensive. Why we like it: For a really low price, you can get an excellent electronic brake controller that doesn’t have all the advanced features like the more expensive models, but still can provide you with great performance and reliability on the road. The device is simple to use and all the important options are within the reach in case you need to react quickly. Although the interface is minimalistic, it’s comprehensive. 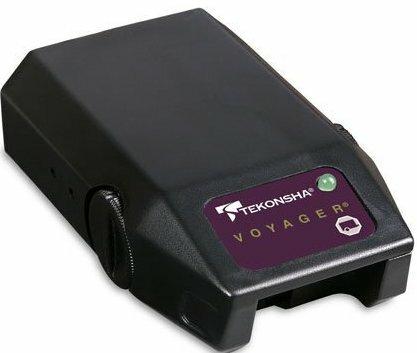 Tekonsha 9030 Voyager is a brake controller which offers an impeccable performance on the road that is accompanied with an easy-to-use design which lets you quickly understand how the device works. The quality of this electronic brake controller is high, regarding its price, and what is most important, you can rely on it while driving. Although it doesn’t have too many options, this electronic brake controller will do its job and give you the security you need on the road. Also, this brake controller features advanced electronics that minimize false braking and provide you with a smooth ride. This electronic brake controller has a broad control range which makes it easy for you to set up the controller and use it once you’re done with the setup. When the braking power is applied, the LED light changes color gradually from green, completed circuit, to red, which indicates a relative braking power. All of these useful features, make this electronic brake controller a good and necessary investment. Tekonsha standardly produces high-end quality devices which have a long lifespan. This device, although it’s cheap, will serve you for a long time. This means that you don’t need to worry if the device will unexpectedly go out of function. This device will be your long time safety partner. A lack of advanced options that other Tekonsha models feature. Why we like it: For a reasonable price, Draw-Tite electronic brake controller comes with a variety of advanced options which improve the safety and performance of your vehicle. Also, this device is reliable and has a quality which ensures that it won’t suddenly fail you when its performance is needed. We recommend this electronic brake controller because it will provide you with all the advantages of electronic control of your car’s brake system. With a snap-in mounting clip, you are enabled to remove and store the controller when you stop using it. This feature can help you out with the basic setup tasks and save your time as everything will be ready for use in no time. Another useful feature is „Plug-n-Play“ port for 2-plug adapters which makes it easier for you to find spare parts. This type of adapter is easy to find so you won’t have problems with replacing it if needed. This electronic brake control features a „Boost“ option that enables you to easily increase the electric discharge into the trailer axles and stop the car faster than usually. This feature improves the braking performance and increases the overall safety on the road. Such features are especially useful in case of unexpected situation that can become dangerous in a matter of seconds. Also, the device features a LED readout on display in case of emergency, so you can monitor and fix the situation with ease. This electronic brake control is designed to serve you well for a long time as it features high-quality parts that ensure the long lifespan of the device. For a reasonable price you will buy yourself a device which improves the overall safety and performance of your vehicle. This electronic brake controller is well-designed and has an intuitive user interface. Boost option is of great use in potentially dangerous situations. It’s easy to install this electronic brake controller. Some users report minor problems with amount of electric discharge sent to the trailer’s axles. If installed properly, the device won’t encounter such problems. Why we like it: This device is affordable as you can get it for under 40 dollars on Amazon and see that it features a satisfying performance. The interface is well-designed and comprehensive so the overall functionality is on the high level. Also, it’s easy to adjust the device and set it up on your vehicle, which saves your time and effort. The device also comes with great security traits as it features advanced internal circuit protection. 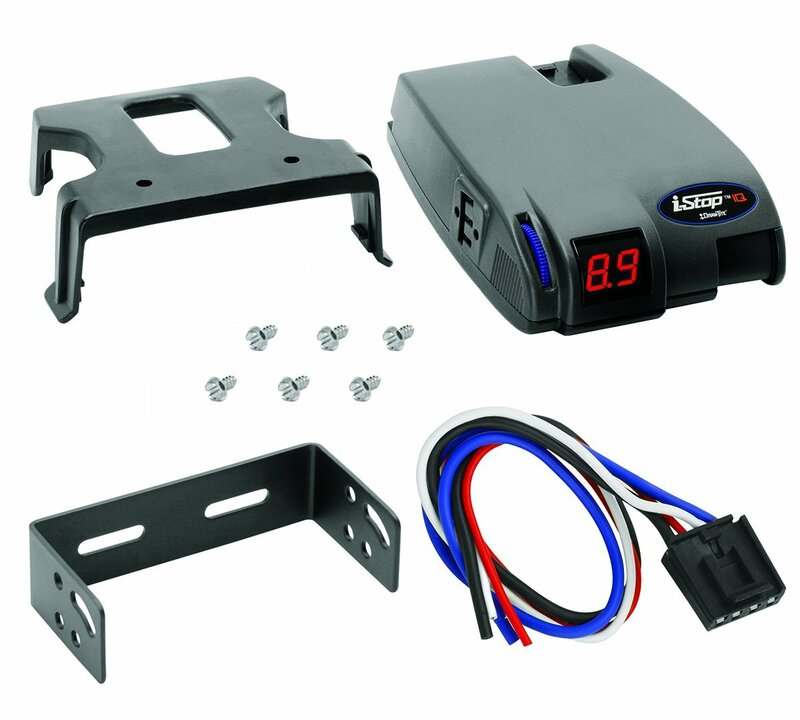 With no leveling required, this 100 percent solid-state electronic brake controller has a compact design that is easy to mount in any direction. This feature helps you install the device in no time and get it ready for use. Also, the device has a pre-wired plug-and-play feature that significantly helps you connect the device to 2-,4-,6-,8-brake systems. With such features, the device is simple to use which is one of this electric brake controller’s main characteristics. After a quick install, this device is even easier to adjust and control the electric discharge that goes into the trailer axles. Also, this adjusting feature is not only efficient when it comes to adjusting to the weight of the trailer, but also it quickly adjusts the speed of activation that depends on your driving style. A feature that adds up to the overall value of this electronic brake controller is an intuitive user interface. With a bright digital display, the most important information is well-presented, so you can easily orientate and monitor the situation. With advanced internal circuit protection, the device is protected against potential damages. The device should be used only on 12-volt negative ground systems. This sort of protection improves the durability and performance of the device. You can be sure that nothing unexpected will happen and suddenly destroy the brake controller. Affordable price accompanied with a quite satisfying performance. 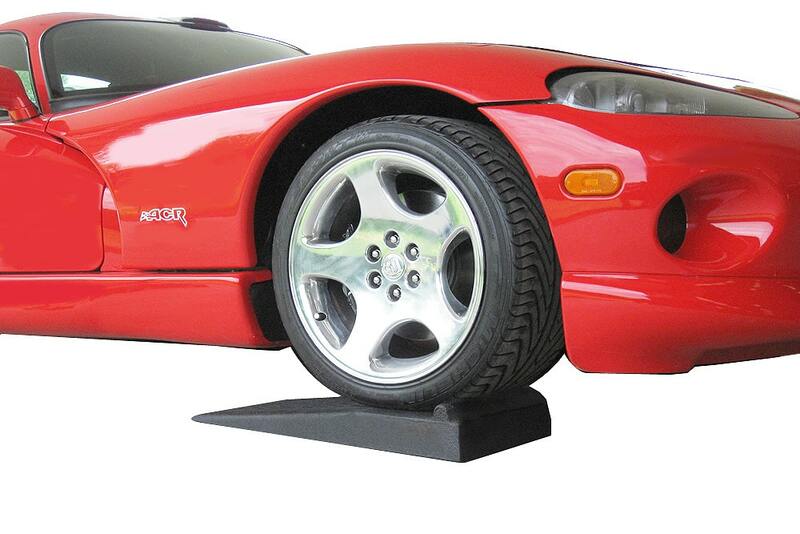 It’s easy to use and install the device on your vehicle. Security features improve the performance and durability of the device. Some people report minor problems with installing the device but if you read the instructions carefully, there won’t be any difficulties. Why we like it: The device is easy to use and features a comprehensive user interface that helps you to quickly react in an emergency situation and solve the issue. Also, this electronic brake controller is easy to install, so your time will be saved as no significant effort is required. The boost feature is useful if the road conditions change as it enables the controller to easily adjust to new situations. To set up this controller device, you’ll need almost no effort and the whole process will be easily finished in just a matter of minutes. The controller requires no leveling with up-front buttons which means that you’ll have easy access to Output and Boost options. Also, you can easily control trailers with up to 4 axles. The display on this electronic brake controller is well-designed and gives you a comprehensive and well-organized presentation of all the crucial information you need to know while driving. Another useful thing is the diagnostic feature that enables you to release more electric discharge to the trailer’s axles if needed. All the interface features will help you in situations that require quick reaction and solution which means that you can safely control your vehicle. This device offers Boost and proportional brake features that are very helpful when it comes to controlling your vehicle’s braking system. Boost feature gives you the ability to apply more initial trailer braking in case the road conditions get dangerous. Proportional brake control increases the overall control of the vehicle’s braking system as it evenly sends the brake signals to trails axles. With this feature, you can smoothly brake and enjoy smooth driving all the way. This device is extremely easy to install, which greatly saves your time and effort. With a comprehensive user interface it’s easy to control the device. Great control features significantly improve the driving experience. LED display is well-designed and presents you all the important information. It’s possible that you encounter some small problems with the controller’s connector. This means that you should carefully install the device to avoid such problems. Why we like it: This electronic brake controller motor is one of the best combinations of price and quality performance you will find online. The device has all the basic things which are essential for reliable performance out on the road, and the design features a comprehensive interface. Draw-Tite’s product is also reliable in a sense that its lifespan is long, so you can count on its quality performance for a long period of time. When you have in mind all the features this device has to offer and the price you have to pay for them, it seems like a good investment. With Activator IV model of Draw-Tite’s electronic brake controller, you will experience all of the advantages of a full brake system control which can improve your vehicle’s safety and your overall driving experience. You won’t have a reason to worry about the bad scenarios which include the back of your car being crushed by the trailer. The brake control system allows you to control from 1 to up to 4 axle trailers and feature time actuated brake activation that is easy to preset and schedule its activation. Although it’s pretty easy to preset the activation time, you should think through before activating it and above all, you have to know the behavior of your car. The compact design of this electronic brake controller features up-front push buttons for Sync and Output options. This sort of simplistic design can be helpful if you are new to the electronic control of your vehicle’s brake system. The push buttons are conveniently placed which means that you can react quickly and press them if you encounter some emergency situation. Also, you will find an illuminated LED output indicator that gives you a good overview of the current situation regarding the amount of electric discharge that is released into the trail’s axles. With Plug and Play feature you will be able to quickly and easily connect the electronic brake controller to your vehicle, which saves your time and effort. Also, you will see that mounting hardware is included, so the whole install process is meant to be finished in just a matter of minutes. 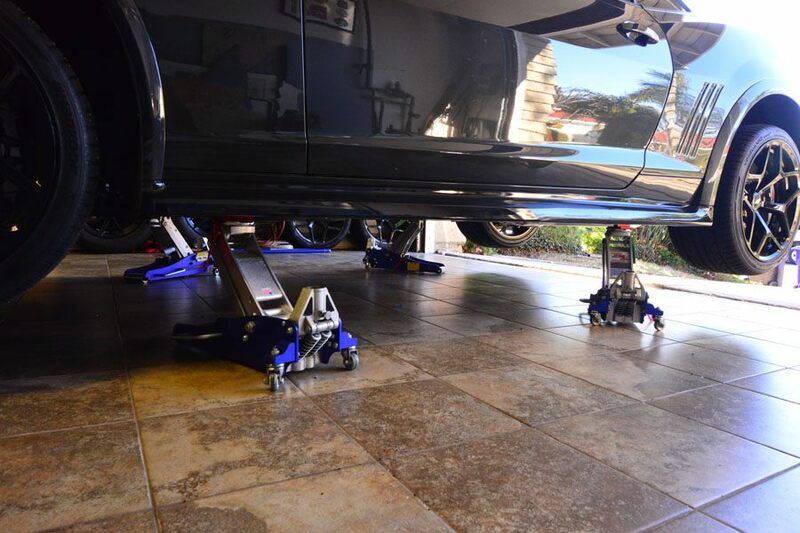 The device features control options that get you in full charge of your vehicle’s brake system. Push buttons are well-designed which makes it easy to control the device. LED output indicator gives you all the important information. It’s easy to install the device as it has a Plug and Play feature and also comes with mounting hardware. 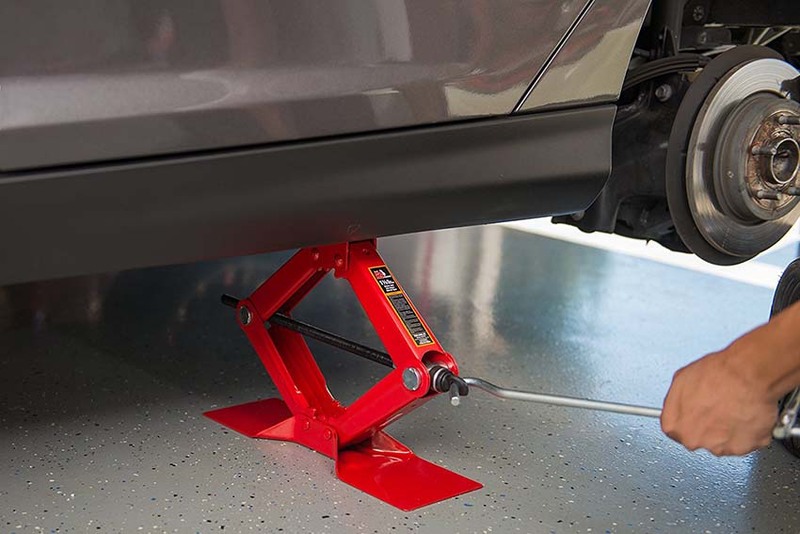 Although the installation method is meant to give you quick and smooth installation, some users find it hard to install the device on their type of vehicle. Check the compatibility with your vehicle, before buying the device. Why we like it: This is another high-quality electronic brake control device that comes with the great design and performance features that won’t cost you much. The device meets all the quality criteria and its performance is generally satisfying. This controller has a pretty minimalistic interface that gives you all the essential control options and information. Hopkins electronic brake controller comes with a digital display feature, designed to numerically present the amount of electric discharge that goes into the trailer’s axles. On the left side of the device there are “plus” and “minus” buttons which are meant to help you easily increase and decrease the amount of electric discharge. All the interface options are meant to help you set the exact percentage of brake power you need, which is crucial for your vehicle’s safety. If you have in mind that most of the state laws require the use of electric brakes on trailers weighing over 3,000 pounds, this device will soon become your vehicle’s essential safety partner. This electronic brake controller comes with short proof protection from trailer brake wire shorts and brake light shorts. This safety feature improves the overall functionality and performance of the device and makes it reliable in the long run. Long lifespan and overall reliability of the device are all guaranteed as this protection feature keeps the device safe. The device is designed to make the installation process as brief as possible with no special effort needed to set the whole thing up. Mounting features decrease the time needed for the device setup, so you can enjoy the performance of this electronic brake controller right away. Having in mind the optimum performance this device has to offer, the price is satisfying. Safety features on this electronic brake controller guarantee its reliable performance. The user interface is comprehensive. The installation process won’t take you much time and effort. Some users can initially find it difficult to control the device, but a short period of practice will solve this problem. Gone are the days when you needed only the basic tools in your car to ensure a safe drive. The roads in America are more dangerous than many other countries. After thorough research on the internet, we reviewed the top-quality electronic brake controllers that will surely provide you with optimal performance and great overall user experience. This list is meant to help you find the right option that doesn’t affect your budget too much and gives you the high-quality performance. Let’s summarize the factors that you need to consider before making your final choice. So, before you start searching for the best option, make sure that you have in mind all the factors as listed here. The user interface on each device should be comprehensive enough, so you can quickly press the right button and increase or decrease the amount of electric discharge sent into the trailer’s axles. Also, the display should be big enough so you can monitor the situation all the time and see if everything is in order. The more expensive brake controllers have a greater variety of options displayed, but you will also get a satisfying performance with budget-friendly options. Have in mind that big prices don’t necessarily signify that you will have more options as there is a standard set of features that every brake controller must have. If the brake controller is made according to the basic standards, it’s most likely that it will provide you with the top performance. For additional features, you can buy the models with a higher price. This feature is directly connected with the previous one and presents the most important thing you need to think about. The device which does not have user-friendly interface will make it much harder for you to react correctly if the situation demands you to be quick on the trigger. Also, it’s quite important that you find a device which is easy to install as there will be less room for mistakes which can land you in some trouble on the road. Safety features are also one of the main features you should look out for. The more expensive devices have larger sets of safety features, but the cheaper ones also do just fine if they meet the standard quality criteria. Shorts protection is one of the crucial features you should be aware of before you buy any device, as it prolongs the lifespan of the controller and ensures its reliability on the road. The electronic brake controller is an essential safety device you need if you have a vehicle with a trailer car. Moreover, these brake controllers are required by most of the state laws that deal with safety on the. It’s important that you find a reliable electronic brake controller which will provide you with impeccable performance and ensure a greater road safety. Here we reviewed the top 10 best electronic brake controllers you can buy, so we hope that it’s a bit easier for you to make the right choice. As mentioned, the electronic brake controllers are generally divided between proportional brake controllers and time-delayed brake controllers, so it’s important that you get to know your exact need before choosing to buy either type.